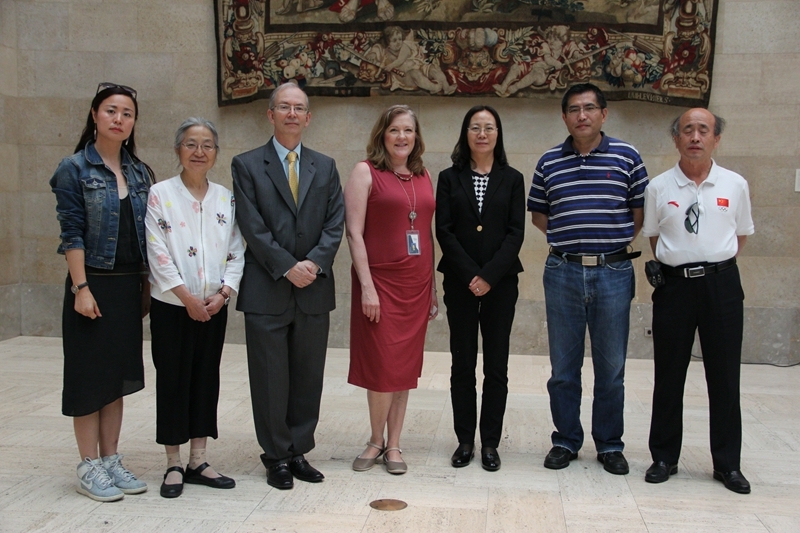 On June 8, Consul Zhang Min visited Nelson-Atkins Museum of Art in Kansas City, MO and met with Mr. Colin Mackenzie, Senior Curator of East Asian Art and Ms. Sarah Schmiedeler, Manager of Family Education. They exchanged views on strengthening bilateral exchanges and cooperation in the future. Consul Zhang said that Nelson-Atkins Museum of Art was one of the most important art museums in the Midwest of the United States. Tahnks to the rich collection of Chinese arts, the museum is one of the prime institutions on Chinese culture research. In recent years, the museum has actively participated in Sino-US cultural exchanges by holding the Chinese relics exhibition, the Chinese Spring Festival celebrations, etc. These are of great significance in promoting Chinese culture and enhancing mutual understanding between the people of the two countries. The Consulate General is willing to continue to deepen the friendly cooperation with the museum. Consul Zhang also extended congratulations to Ph.D. Mackenzie on being invited to Beijing this July for the Symposium on China Studies 2017 co-hosted by Ministry of Culture of the People's Republic of China and the Chinese Academy of Social Sciences. Ph.D. Mackenzie said that Nelson-Atkins Museum of Art always attached much importance to the cultural cooperation with China. He had visited China many times, and had great admiration for the long history and splendid culture of China. The museum will hold a Chinese exhibition from Xuzhou, Jiangsu province in December 2017. He believed that this exhibition would further strengthen the understanding of Americans toward Chinese culture. 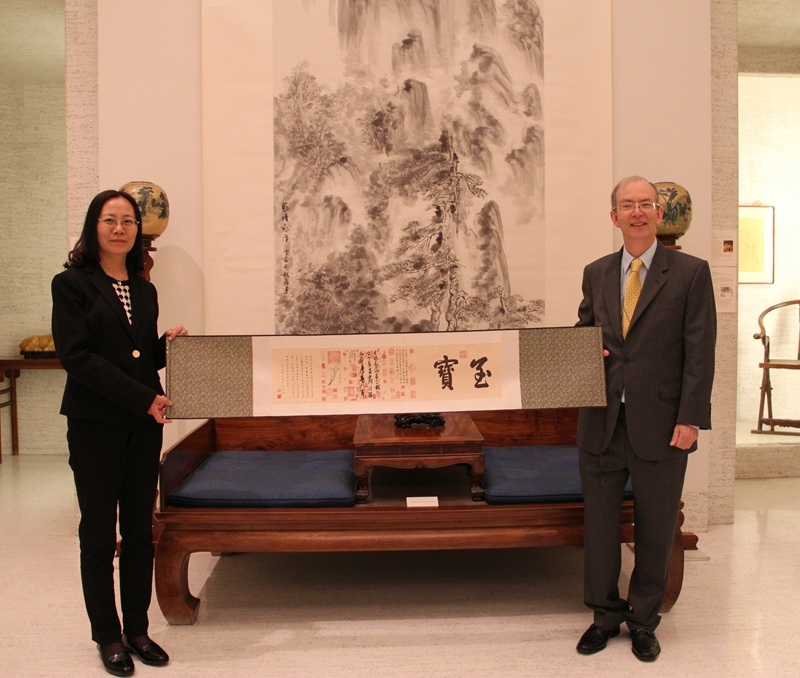 Consul Zhang also took a tour of the Chinese gallery accompanied by Mr. Mackenzie. The Nelson-Atkins Museum of Art, which opened to the public on Dec. 11, 1933, collects of more than 35,000 works of art and accepts 500,000 visitors a year.